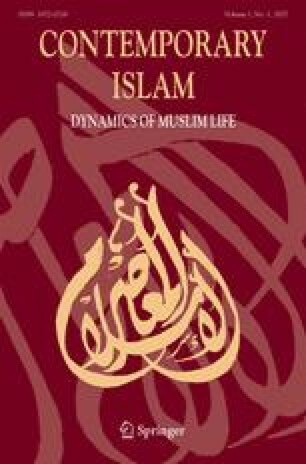 A large amount of academic research has analysed and documented the fact that Muslims are often presented in a negative or stereotypical way in Western media and popular culture. This article focuses on how the Internet can also be used in spreading and publishing anti-Islamic and anti-Muslim opinions. Although the Internet is significant in the development of contemporary society, no studies have focused on the importance of information and communication technologies in spreading Islamophobic opinions. However, the new technologies can also be used for monitoring and combating Islamophobia, and many Muslim organisations are today using the Internet for these purposes. The article is based on an indepth analysis of both anti-Muslim and pro-Muslim homepages that can be related to the debate over Islamophobia. A draft version of this article was presented at the 8th EUROFOR Marie-Curie Conference, European and National Agencies Dealing with the ‘Non-Accepted’, Berlin, 14–17 December 2006. I am grateful for the support I received from the Berliner Institut für Vergleichende Sozialforschung/Europäisches Migrationszentrum, the Swedish research project LearnIT, funded by the Knowledge Foundation (KK-stiftelsen), and the Linnaeus Centre for Research on Learning, Interaction, and Mediated Communication in Contemporary Society (LinCS), supported by the Swedish Research Council. I also appreciate all the positive comments and reactions I received from the participants at the above conference, especially from my college Dr Åke Sander. I would also like to thank Dr Henrik Bogdan, Göteborg University, who helped me with information about the new religious movement called Heaven’s Gate.